There has been a significant increase in the use of EHRs among physicians nationwide. 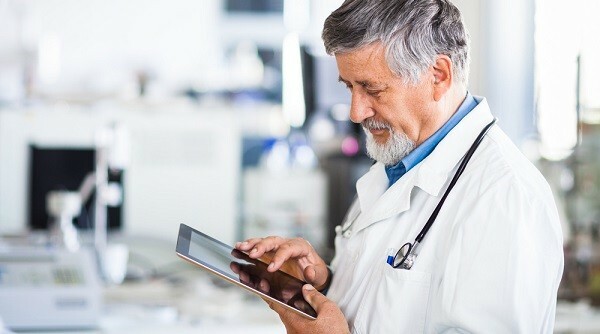 The Centers for Disease Control and Prevention (CDC) found that in 2013, 78% of office-based physicians adopted some type of EHR system, and about half of all physicians had an EHR system that met the basic system criteria. Family physicians are spending an increasing amount of time dealing with administrative duties (10 or more hours per week) which interferes with patient care. That’s why EHR adoption is crucial for practice efficiency. EHRs provide better coordinated care between you, your staff and your patients due to the quick access to patient health records. Not only will you and your staff have increased productivity, you will also have the ability to effectively diagnose patients, reduce medical errors, and provide safer care. EHRs also provide better efficiencies for billing, reimbursements, audits, and other financial matters to help manage costs. If your practice does not already have an EHR, it may be the time to invest in one. For family physicians, providing the best comprehensive healthcare to patients is all in a day’s work. But with the Affordable Care Act bringing in an influx of newly insured patients, practices will need help managing the additional workload while still providing quality care. Patient portals are a great way to improve patient engagement outside of the doctor’s office while allowing patients online access to their health records. These portals can help patients stay informed about their health and be more proactive in maintaining a healthy lifestyle. This new technology also allows for better communication between you and your patients through a secure online messaging service which reduces office call volumes while strengthening the doctor-patient relationship. If you work in a private practice, you most likely built a website to help drive business and market your services. If you’ve yet to create a website for your practice, you could be missing out on a great opportunity to bring in more patients and increase your credibility. When developing your website, think about the kind of information you want to showcase. Patients often conduct their own online research when looking at new family physicians, so it’s important that your site is easy to find on search engines and that the information on your site is easy to navigate. Focus on who you are, the services you provide, where your practice is located, your office hours, and any other information that could make you stand out from other physicians such as extended evening or weekend hours and the ability to schedule same-day appointments. A great website will ensure that patients find you with ease and hopefully, refer you to others. In addition to having a great website, you may also want to consider creating social media profiles for your practice. According to Pew’s Internet Project research, 74% of online adults use social networking sites. And within that percentage are your patients. Similar to how patients look for doctors on search engines, they also visit social media sites to learn more about your practice and what others have to say about your services. If your practice isn’t on Facebook or Twitter, potential patients may think you don’t engage with the online community or that you may be hiding some unpleasant reviews. By engaging in social media, you can grow your online presence, share general health tips and medical research, and open the doors for patients to express their gratitude for your care and services, which may result in an increase in referrals. Additionally, social media can help your staff share important updates with patients such as, “Your doctor is running late” or, “The office is closing early” in case the patient doesn’t visit your website or call the office. Social media isn’t for everyone, nor is it required for your practice. But with more patients going to social media sites for business information, it’s something to consider especially if you have the time and resources to maintain a social reputation. Tablets and other mobile devices have steadily been making their way into the doctor’s office with 72% of physicians working on tablets in 2013, according to Manhattan Research. Mobile technology within medical practices saves time, increases productivity and improves workflow which is a real life-saver for practices with heavy patient loads. Mobile devices allow physicians to multitask throughout the day, freeing up time to treat more patients. These devices also double as educational tools for patients since physicians can present helpful images and graphs on tablets to aid in a patient’s understanding of their health. As physician practices struggle with time management, mobile technologies could play a pivotal role in improving practice pro­ductivity and patient care. These are just a few technology trends that physician practices can implement to help boost efficiency and profitability. What other technologies do you use in your practice to improve both your bottom line and patient care? Tell us in the comments below.